Angela V. McKnight, newly elected as the 1st African American Assemblywoman for the 31st District for the state of New Jersey. She sits on the following committees: Education Health and Senior Services and Human Services. Angela is a Certified Senior Advisor (CSA). She is also the Carepreneur, who is the Founder & CEO of the 501(c)3 nonprofit organization AngelaCARES, Inc. AngelaCARES, Inc. is headquartered in Jersey City, NJ with its first chapter in Las Vas, Nevada and in collaboration with PineRidge of Montclair and Montclair Public Library, The Senior Space located in Montclair, NJ. The organization was incorporated on October 20, 2011. AngelaCARES, Inc. motto is "A Passion to Care. The Ability to Help." The mission to serve as an advocate and support system for senior citizens, their caregivers, and a mentor to the youth by educating and empowering them to volunteer. We are committed to strengthening communities by enhancing the quality of life through the generations. In addition to Angela running AngelaCARES, Inc., she is the owner of Care About You, LLC. Care About You, LLC provides consultant services for the elderly population and consultant services. She also conducts speaking engagements, training and business consulting as the Carepreneur. Angela is an activist, advocate, author, entrepreneur, mentor, educator, innovator, trainer who possess a BS in Business Management from University of Phoenix, 25 years of experience working in the customer service arena and a technical background. She is a certified New Jersey State Health Insurance Assistance Program (SHIP), 2nd Vice-chair Greenville Community Partnership, Jersey City, NJ, Chair of Hudson County Long Term Recovery Committee, Advisor for PURE I.M.A.G.E.S., Inc., member of the Hudson County Long Term Recovery Committee, member of Civics For The Emerging Activist, member of The National Association of Professional Women (NAPW) Hudson County Chapter, Advisor of Forever Girls Inc., committee member on Lutheran Senior LIFE Advisory Committee, Board Member of Horizon Family Success Center, Advisory Council for the RSVP Center of Essex & Hudson Counties, Live Richer Challenge Leader for the Budgetnista 36 Day Money Challenge, Board Member of the Jersey City Community Charter School and Board Member of United Way of Hudson County. Angela is a recipient of many awards such as the Sandra Cunningham's 2012 "It's All About You Award", a recipient of PS3 PTA African American Heritage as the Person of the Present award, a recipient of Jersey City 15th annual "Women of Action" award, received of appreciation during 2013 National Night by the City of Jersey City, May 2014 - "Entrepreneur of the year" by Forever Girls, LLC, 2015 Pioneer Wall of Fame, 2015 Trailblazer Nora O. Fant Award and 2015 Dare to Make a Difference Award from Sarah's Daughter. 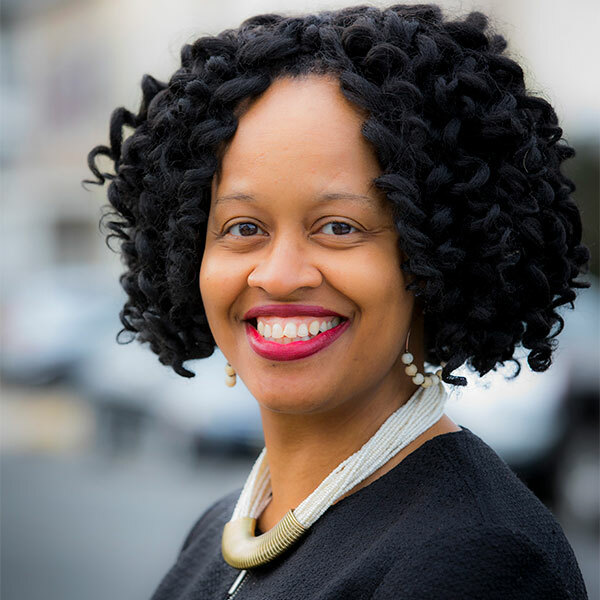 Angela is a Rising Tide Capital Community Business Academy Instructor, a 90 Day Action Coach and One-On-One mentor. She is an alumni of Rising Tide Capital Community Business Academy. In 2013, Angela was a panelist the National BALLE Conference in Buffalo, NY. In March, 2014, Angela spoke about food and seniors at the TedEx Manhattan Talks that was hosted by Sustainable Jersey City, presented Aging in Place to senior groups such as West Essex AARP Chapter, Golden Senior Group and seniors in Jersey City! Angela also graces the Rising Tide Capital billboard for their Community Business Academy Program. Angela currently resides in her hometown of Jersey City, New Jersey. She is a mother of two children (15 and 22) and happily married to her high school sweetheart. Working with people has become one of her primary interests, along with caring for others. Her passion and drive to help others and her community truly reflects in her actions. Angela believes helping, mentoring, empowering, and supporting are key factors in making a positive impact in peoples' lives. She is friendly, dedicated, and a compassionate person. She reveals these great traits through her actions.